There are a few lakes in the Boundary Waters that allow motor boats. Saganaga Lake to the north of Voyageur is in the BWCA and allows motors up to a 25 horsepower. The same rules that apply to boaters elsewhere also apply in the BWCA, along with a few more. 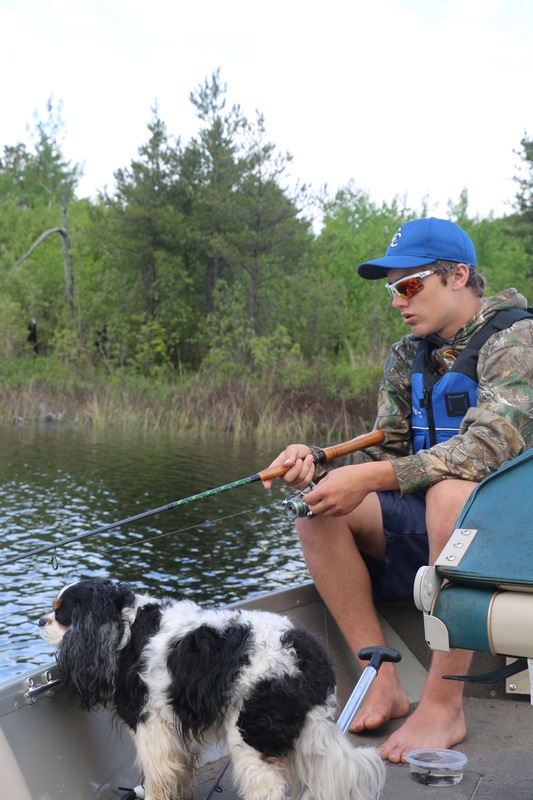 The Boundary Waters has a specific set of rules that visitors must adhere to. Most people who come to the area are familiar with these rules that deal with primarily overnight camping but some are valid for day use as well. There’s the group size maximum of 9 people, # of watercraft maximum of 4, no cans, no bottles, you must have a permit and plenty more you can find here. In addition to these rules are a few that sometimes get forgotten. Most people know you need to have a wearable Coast Guard approved life jacket on board for all passengers but what sometimes gets forgotten is you also need an additional throwable Type IV device on board and accessible. These are things like boat cushions and rings that can be thrown out to someone struggling in the water. A rule that either gets forgotten or ignored involves kids in life jackets. Did you know Minnesota State law requires children under 10 years old to wear their life jacket while the boat is moving? It’s a good law but one I unfortunately see people breaking. One simple life saving device required on watercraft 16 feet and longer is a whistle. It’s an inexpensive item that can literally save a person’s life. The best place to store this whistle is around your neck so if you get thrown from the boat and end up in the water you can use it to be rescued. Here’s something Mike’s Uncle learned when he took my boat out a few weeks ago. The registration numbers on your boat must match your registration information. Something I forgot to do when I got my new used boat from a person from Wisconsin was to change the registration numbers on the side of the boat. I had it registered in Minnesota I just didn’t have the new numbers on it. Now, after looking at the numbers put on my boat it looks like I might have to re-do them so they are in compliance with the rules. Remove the expired decals first, before applying the new ones. The license number must be displayed on your boat as it appears on your license card. Letters and numbers must be at least 3 inches high. Letters and numbers must be of a block character. The MN should be separated from the numbers with either a 2- to 3-inch space or a hyphen. Letters should be separated from numbers by a 2- to 3-inch space. Must contrast with the background. Can be either painted or attached to the craft. Should read from left to right and must always be legible. The current license decal must be placed toward the stern within 4 inches of the license number. If you’re going boating in the Boundary Waters it’s a good idea to know the rules before you go.